Over the last 10 years we have seen the migration of a new species of Jay in Vancouver and the surrounding area. This is a dry weather bird that is found mostly along the coast from the Baja of Mexico north to Washington State has now moved into Canada. This one of a matched pair who appear to have babies in the area. At this particular time, the jay was scolding a cat that was slinking in the bushes below. 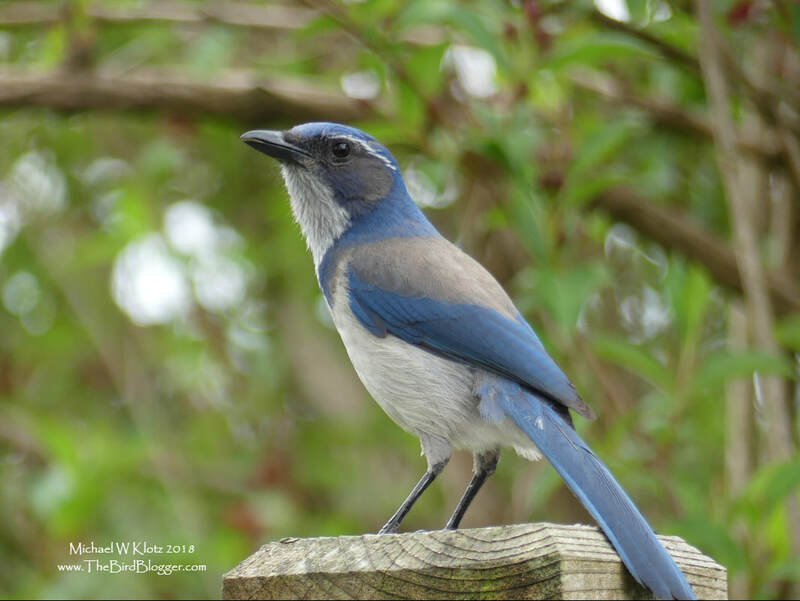 There have been other Scrub-jays found in the lower mainland but none that I know of that are confirmed breeding birds. These are some of the most northerly of the species every to be found.